After an evening of libations followed by thorough and unrelenting interrogation, we learn that Jim has never been to Mesa Verde National Park. We are astounded to discover this as we had always believed in his 6 years of full time RVing and lifetime of traveling before, that like Johnny Cash Jim been everywhere! Parked in Durango, we are less than 40 miles from Mesa Verde and are able to quickly rectify this travel shortcoming. We pile into Jim’s truck and head west to share with him a tour of this elevated and widely dispersed National Park. 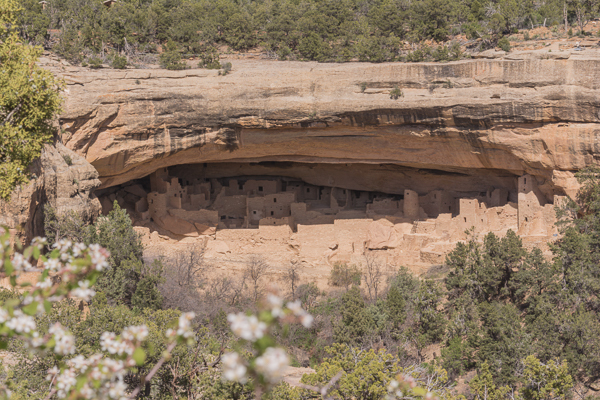 Because it is so early in the season, not much is open in Mesa Verde today and the one tour that is available is already booked for the day by the time that we arrive. 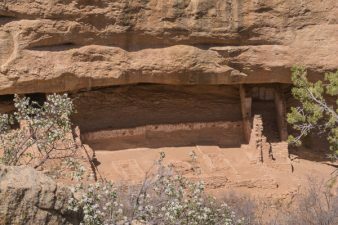 You can see lots of photos from Mesa Verde by checking out my posts from our visits last summer. Man, I am so sorry to hear that you had those problems. Happy that everyone is fine, but sad that the RV has been so troublesome. Hope that is the last of the big expenses on it for a while! Carve your name on hearts, and not on marble.